The greenback cutthroat trout, which used to occupy a large part of the American West, was thought to be completely extinct until the late 1950s. The greenbacks faced the usual gamut of problems – competition and hybridization with introduced species alongside a significant amount of habit loss from settlers and mining operations. They currently only occupy 1% of their original habitat range. When a small population was discovered in the South Platte and Arkansas River basins, anglers and conservationists alike mounted a large recovery operation to preserve and expand the range of the greenback trout. Their status was downgraded from endangered to threatened in 1978. 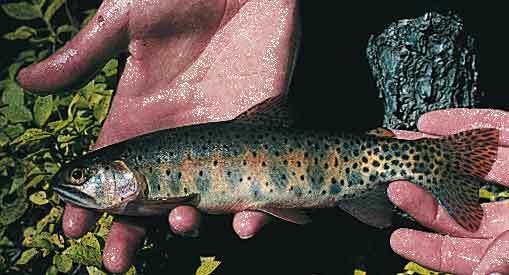 The greenbacks evolved from cutthroat trout after the last Ice Age, when a small population of cutthroats crossed the Continental Divide and adapted. 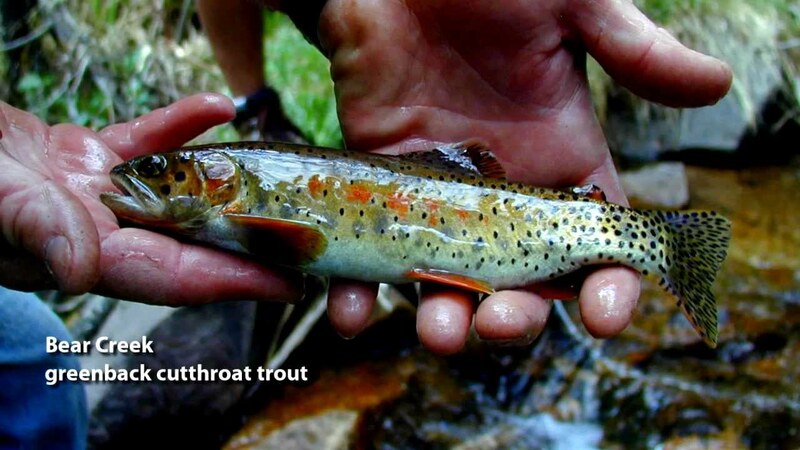 They are the easternmost subspecies of the cutthroat trout. In 2012, a Colorado University study discovered that the original fish used for re-stocking efforts was in fact a Colorado/ Rio Grande cutthroat trout, which are extremely similar to greenbacks in appearance. This has caused a bit of controversy over the genetic purity of the stocked greenback trout populations and all was thought to be lost once for the greenbacks again. However, scientists discovered a slightly different looking population of trout in Bear Creek, Colorado that matched up with the genetic samples of greenback trout collected in the late 1800s. This population is thought to be one of the few remaining in Colorado, where greenback trout are the state fish. The population in Bear Creek was not indigenous, but is supposedly the result of a private stocking effort spearheaded by a man named Joseph C. Jones. Jones built an inn alongside Bear Creek and wished to have trout in it for food and recreation. The story goes that he manually transferred a population of greenbacks from a nearby stream and planted them in the then fishless Bear Creek, which had been protected from migrating trout by a large series of waterfalls. The original strain of greenbacks was protected by these same waterfalls, and provides us with what we have left of genetically pure greenback trout. These fish are the new basis for greenback stocking efforts. See “Piecing Together the Past” by Dr. Kevin Rogers for more info. Cover image from the same paper.